Going back to the retro days with the Vintage Ant Farm by Uncle Milton. Remember wanting a sand ant farm as a kid and it was a off white one and you had to send away for the ants? 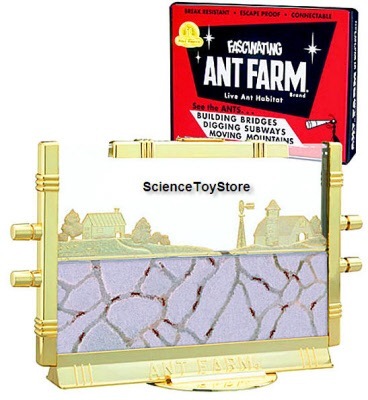 Well Let's go back in time as Uncle Milton Toys has recreated this Vintage Ant Farm so get it now on sale. The back of the box features a story about the creation and success of the original Ant Farm. 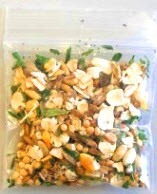 9 inches wide by 6 inches high. Ages 6 and up. Go back in time with the retro Ant Farm. Old School type packaging and original die-cut display box with authentic 1946 graphic treatment, the Uncle Milton Vintage Ant Farm. This is sure to bring back the warm fuzzy feeling of when you were a child.